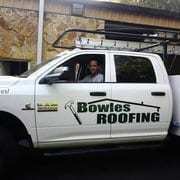 Call Bowles Roofing now and entrust the professionals for all your Dunnellon Florida roof repair needs. Dunnellon has something to offer to nearly everyone. From the beautiful Rainbow Springs State Park, the Withlacoochee & Rainbow Rivers, to strolling down the Dunnellon Historic District, you will love it and never want to leave.